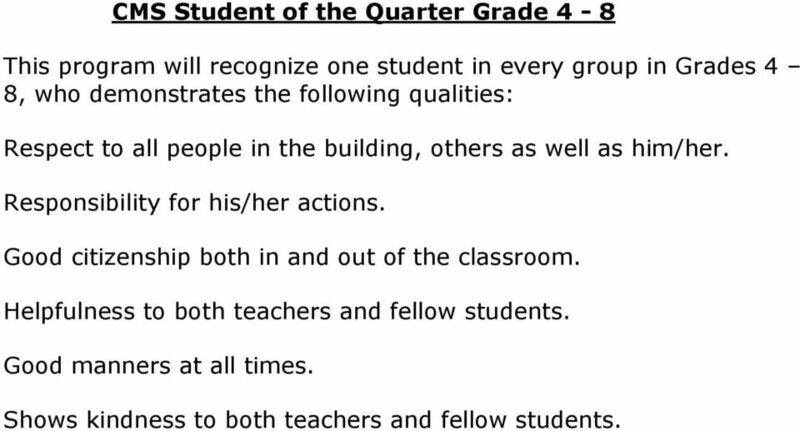 Download "Below is an account of what is or has been done in classrooms to address bullying in our district"
4 CMS Student of the Quarter Grade 4-8 This program will recognize one student in every group in Grades 4 8, who demonstrates the following qualities: Respect to all people in the building, others as well as him/her. Responsibility for his/her actions. Good citizenship both in and out of the classroom. Helpfulness to both teachers and fellow students. Good manners at all times. Shows kindness to both teachers and fellow students. 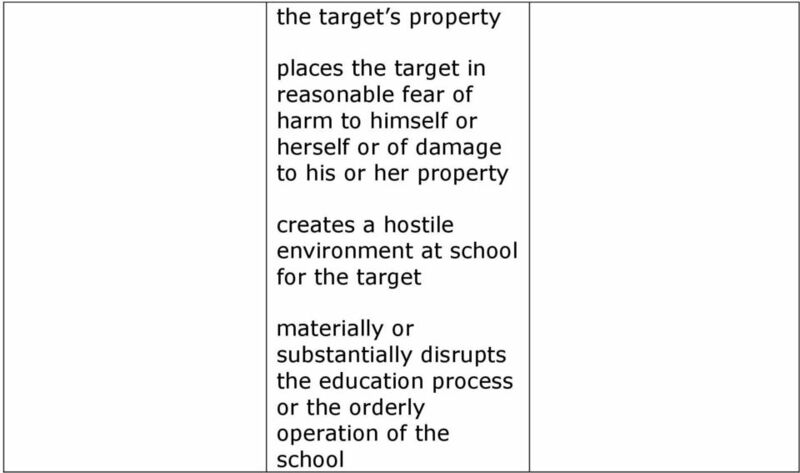 5 Major Violations that include Bullying Behaviors that require administrative involvement, significantly violate the rights of others, put others at risk or harm, or are chronic. PROCEDURAL RESPONSE TO MAJOR VIOLATIONS: Student will be informed of the rule violation Teacher will describe the expected appropriate behavior Teacher will fill out an office referral form Student will be sent to the office immediately Student will meet with an administrator Further action may include: Parent Contact (phone call or written behavior report/green slip); after school detention, parent meeting, loss of privilege, and/or in/out of school suspension. In some instances, the police may be notified. 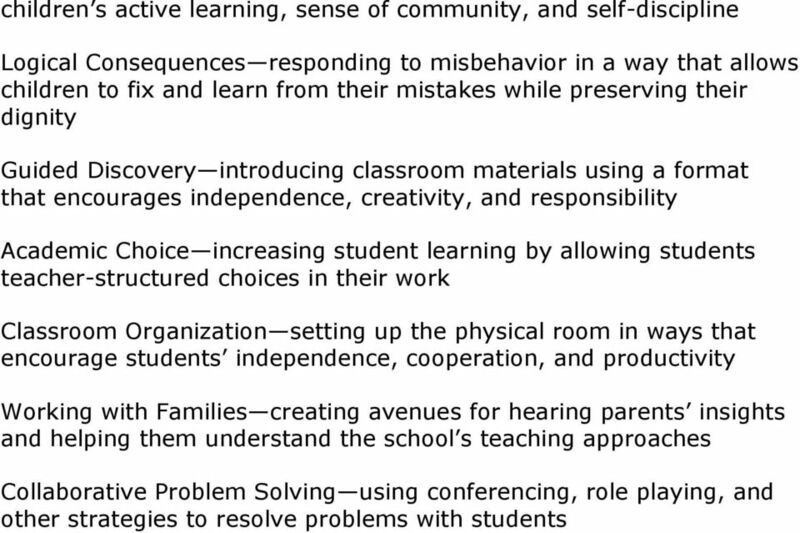 Major Problem Behaviors (Including but not limited to) Bullying Definition Repeated use by one or more students of a written, verbal, or electronic expression or a physical act or gesture or any combination thereof, directed at a target that: causes physical or emotional harm to the target or damage to Possible Consequence Investigative report completed by Principal. 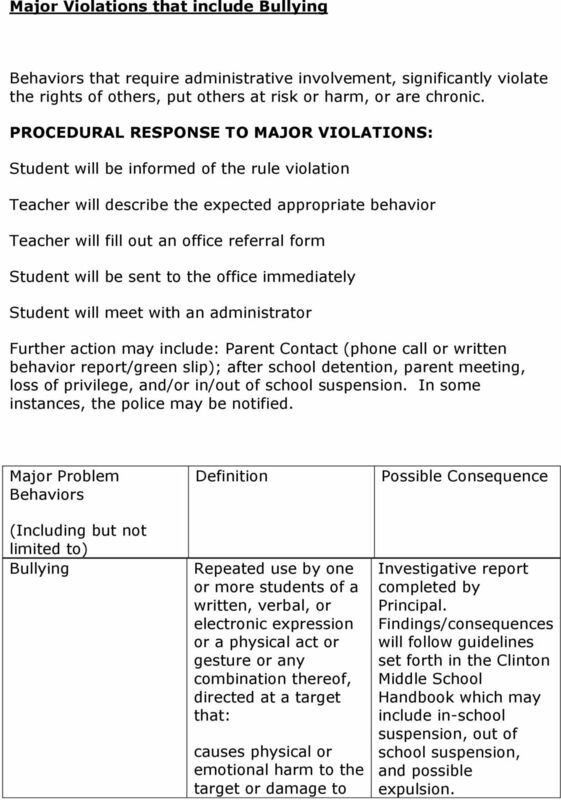 Findings/consequences will follow guidelines set forth in the Clinton Middle School Handbook which may include in-school suspension, out of school suspension, and possible expulsion. I. 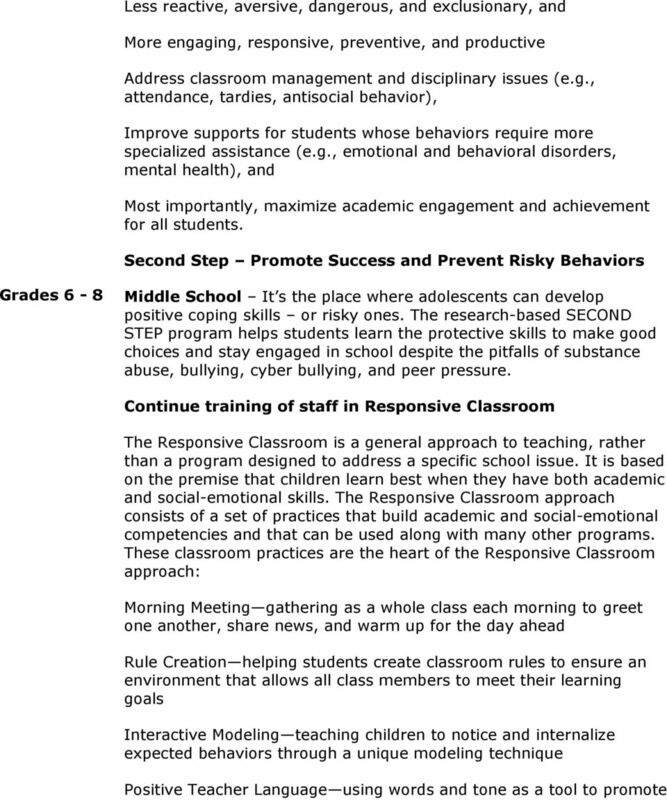 Introduction Landmark School Bullying Prevention & Intervention Plan Landmark School believes that a healthy environment depends upon every student's trust in the safety and integrity of the community. 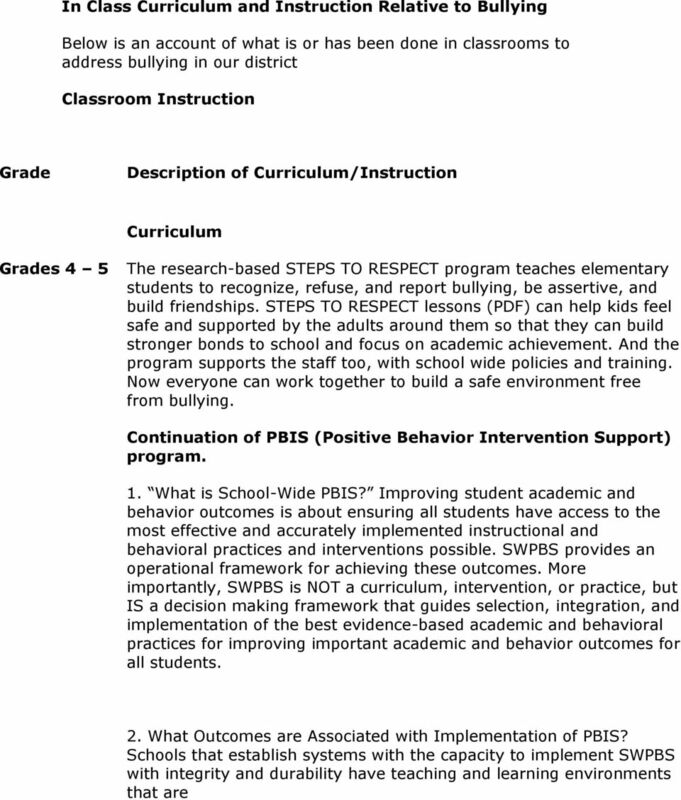 BUCKINGHAM BROWNE & NICHOLS SCHOOL BULLYING PREVENTION AND INTERVENTION PLAN I. Introduction At BB&N, we expect that all members of our school community will treat each other with civility and respect. SWITZERLAND COUNTY School Corporation Policy Anti-Bullying Policy SCSC POLICY 6.72 The following policy has been established by the school board of Switzerland County School Corporation regarding anti-bullying. File: JICFB BULLYING PREVENTION The Swampscott Public Schools is committed to providing a safe, positive and productive educational environment where students can achieve the highest academic standards. Social: ostracism or exclusion, ignoring, being unfriendly, alienating, etc. A positive school climate and a safe learning and teaching environment are essential if students are to succeed in school. Harassment, Intimidation, & Bullying A Handbook for Parents and Students Clovis Municipal School District s Harassment, Intimidation and Bullying Protocol may be found on the district website (www.clovis-schools.org).